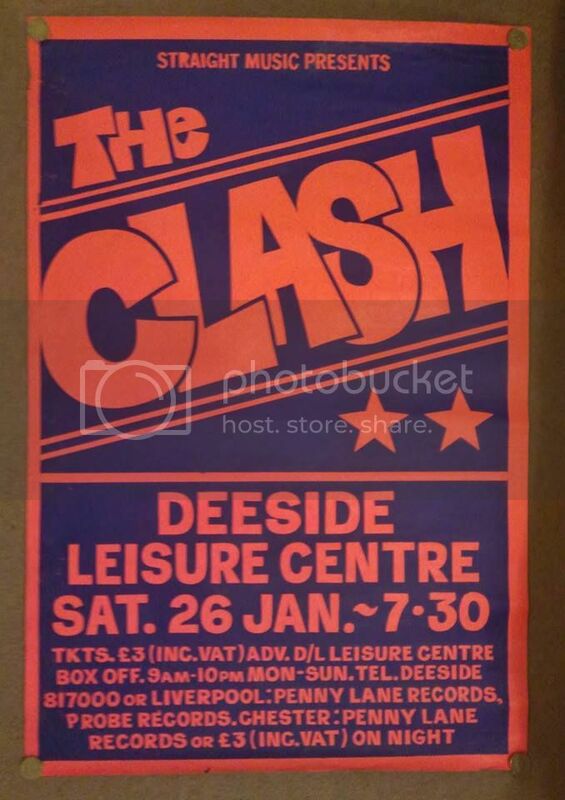 I had only just turned thirteen when this happened, my Dad was a photographer for the local press & got me 2 press pass tickets for The Clash live at Deeside Leisure Centre, who were on their 16 Tons Tour (they always named their tours). Me and childhood sweetheart Lynda Jones sat on the balcony with the other dignitaries as thousands of punks swayed on the covered ice rink below us. 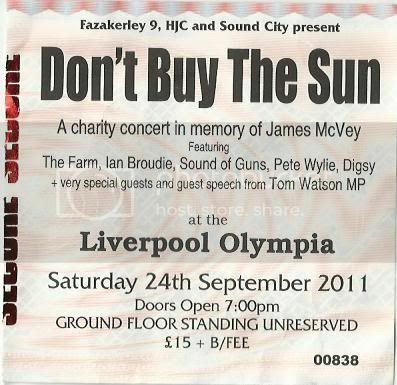 The Clash were a big band by 1980 and rumour has it they had played here in 1978 with Suicide in support, although no one can confirm if they actually did. Just seeing the size of the audience below was breathtaking in itself, the pre-gig music was a lot of reggae and people seemed bored. 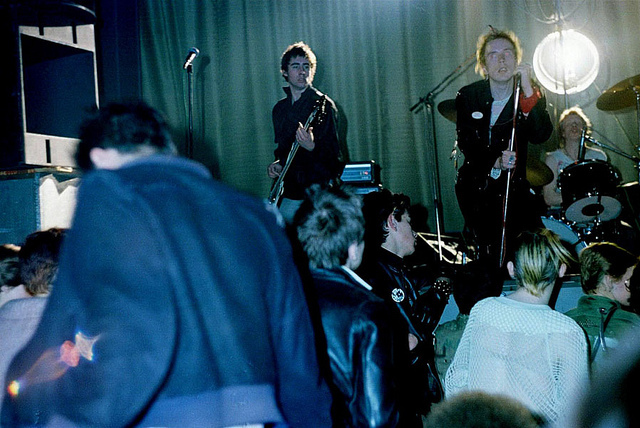 Then Problems by the Pistols came and everyone got warmed up, pogoing away!